Through the repeated performances, it grew to be a big project involving three different versions, with original casts, new casts and the casts through an audition of Broadway, held for the consecutive three months. Iand it replayed again and again and grew into a big project of Hakuhinkan Theater in 1992, as to perform three versions of performance held for three months with repeated performances, by castings through auditions from original casts, new casts, and Broadway. In this way, there were someare other companies and pieces of work　whichwhose works spread their wings widely based in Hakuhinkan Theater as if off-Broadway. "THE CONVOY SHOW" is an example one, as well as, "DIAMOND ☆ DOGS" which was, born and keptbeing producinged a variety of work in Hakuhinkan Theater is another. Both of them have performed well in the small space of Hakuhinkan Theater with achieving remarkable evolution and developed theirperform performances. In additionAlso, the 2.5 dimensional musicals catching an attention being looked at fromin the world these days were also performed in Hakuhinkan Theater. It was already a quarter century ago. Of course, you can find the various works are still being performed now. There were many programs such as concerts, dance shows, and other performances such as Rakugo story, but what most struck was "a Master Koasa Shunputei one-man show" held in the fall of 1990. Master Koasa performed different Rakugo stories forevery 30 days. In addition, in Hakuhinkan Theater, we have some projects entertainingenjoyed by children such as "Ultra Hero Battle Theater!" are actively held by cooperating with TOY PARK managed by the same group of Hakuhinkan. 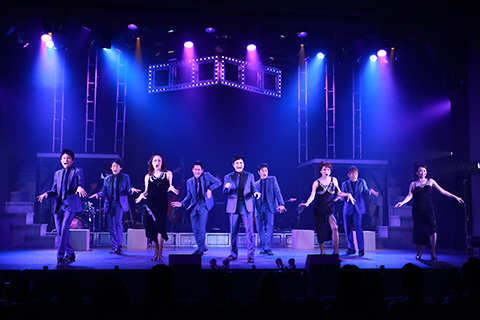 In this way, Hakuhinkan Theater presents variety of works in wide range, however, what we think an important repertoire in recent years is Tap dance. 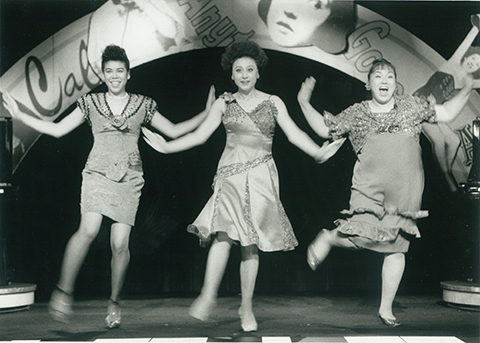 On top of "Tap Dance Festival" which has already been held since 1994, we produced and and created many original programs by starting an attractiveattract tap dance ofs, "Shoes On!”., was performed and created a variety of original works. 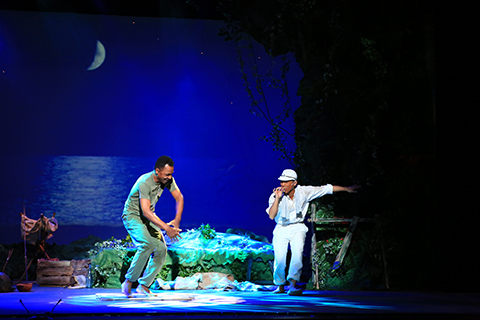 These are a musical "The Tap Guy" depicting Mr. Bojangles, Bill rRobinson, and a musical "Tap・ Gigolo" set in Ginza just after the war, and also "Military shoes that echo in the sea" with a heartwarming interactionn exchange between Japanese and US soldiers through a tap dances by original draft of Takeshi Kitano. Hakuhinkan Theater is committed towill continue presentingto perform programs works that make audience immersed atsuitable for the theater full of immersive presence inwith less than 400 seats theater. We will create our programs withplanningin hand in hand with various companies and also with its ownn project and production in the future.